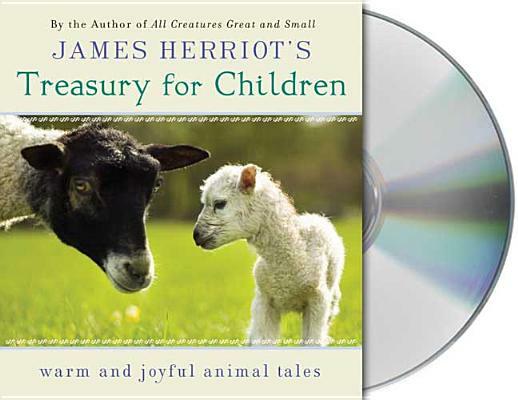 James Herriot's Treasury for Children collects all of the beloved veterinarian's delightful tales for young listeners. From the springtime frolic of Oscar, Cat-About-Town to the yuletide warmth of The Christmas Day Kitten, these stories-radiantly illustrated by Peter Barrett and Ruth Brown-are perennial favorites, and this new complete edition will make a wonderful gift for all readers, great and small. James Herriot (1916-1995) was the bestselling author of memoirs including All Creatures Great and Small, All Things Bright and Beautiful, All Things Wise and Wonderful, The Lord God Made Them All, and Every Living Thing. At age 23, Herriot qualified for veterinary practice with the Glasgow Veterinary College, and moved to the town of Thirsk in Yorkshire to work in a rural practice. He would live in, work in, and write about the region for the rest of his life. Though he dreamed for years of writing a book, his veterinary work and his family kept him busy, and he did not start writing until the age of 50. In 1979, he was awarded the title Order of the British Empire (OBE). His veterinary practice in Yorkshire, England, is now tended by his son, Jim Wight. Jim Dale is known to millions of fans as the voice of Harry Potter, as he narrated all of the books in the Harry Potter series. An AudioFile Golden Voice, he has received numerous accolades for his audiobook work. He has won seven Audie Awards and two Grammy Awards for Best Spoken Word Album for Children (for Harry Potter and The Goblet of Fire in 2000 and for Harry Potter and the Deathly Hallows in 2007). He also holds two Guinness World Records: one for having created and recorded 134 different character voices for Harry Potter and the Order of the Phoenix, and one for occupying the first six places in the Top Ten Audiobooks of America 2005. Dale’s other audiobook credits include A Christmas Carol, Peter Pan, James Herriot’s Treasury for Children, and Around the World in Eighty Days. Dale is also a stage and screen actor, well-known in Britain for his appearances in the Carry On films. He won the 1980 Tony Award for Best Actor in a Musical.